Investment expenses are often overlooked when making portfolio choices. Many investors focus on finding mutual funds or stocks with the highest returns, which is quite simple. However, net returns that reflect management expenses and trading costs should also be considered. 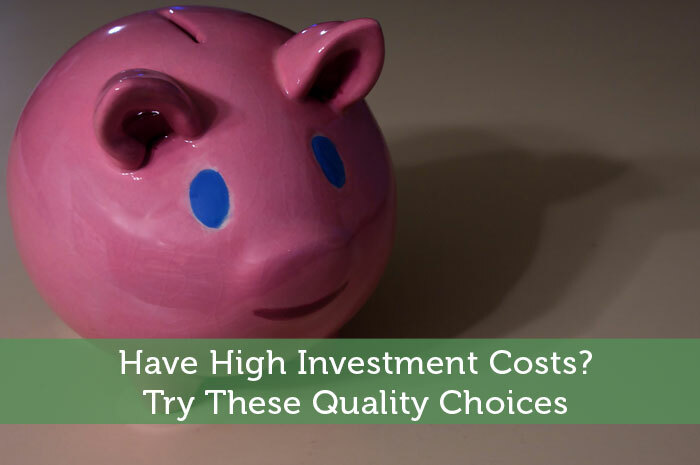 Thankfully, there are low cost investments that are compelling beyond minimizing expenses. An index fund offers low expenses that stem from minimal trading costs and low management fees. Since an index fund buys stocks that mirror a particular benchmark, such as the S+P 500, there is low portfolio turnover. Money Managers and retail investors alike benefit from lowering these operating costs. Index funds do buy and sell securities, but this is done to adjust for individual stock weightings in an index. With lower turnover, fewer trading costs can boost net returns and may increase tax efficiency. You can choose indexed portfolios that mimic most market caps, asset classes and domestic or overseas markets. This makes it easy to allocate money according to your risk tolerance and time horizon. Owing partly to low expenses, index mutual funds have outperformed actively managed peers over the last 15 years. Smaller investors can use index funds for access to markets and asset classes that may otherwise be difficult. This includes international index funds that benefit from a weak American dollar and REIT funds that give you real estate exposure. Each of these examples adds negative correlation in a cost effective manner. Unlike index funds, SPDRs are exchange traded funds (ETFs) with a fixed supply of shares. This means shares rise and fall throughout the day, making SPDRs an option for investors who trade on margin or dabble in hedging strategies. For instance, short selling a broad index SPDR may hedge a portfolio that moves in tandem with the stock market. A SPDR is also a convenient means to invest in sectors that you are bullish or bearish on. Similar to index funds, SPDRs track multiple indices and have rock bottom expenses. You can buy shares through a discount broker to minimize commissions. Generally speaking, index funds are better suited for passive investors, whereas more active traders may favor SPDRs. Buying foreign stocks involves converting currencies, duty costs and higher overall expenses. This is reflected in the relatively high expense ratios of international mutual funds. American Depositary Receipts help trim the costs and guesswork out of international investing. ADRs are certificates that represent ownership of shares in foreign stocks. These securities are denominated in dollars and trade on major American exchanges. ADRs are an affordable way to buy individual stocks of overseas companies. Although priced in dollars, these securities do carry foreign exchange risk. With the dollar currently near record lows against many currencies, your dollar adjusted returns will be higher. Dividend payments from ADRs will also be increased when converting to dollars. Meanwhile, reinvested dividends will also boost returns in dollar terms. The opposites are true in instances of a strong dollar economy. Managing your own portfolio has become easier with various online tools and trading platforms. However, commissions will cut into your returns. Direct Stock Purchase Plans offer an alternative to avoid brokerage minimums and fees. A DSPP allows you to buy shares directly from the company, often with no minimum purchase. Most DSPPs are offered by brand name companies, which make researching and tracking the stocks easier. If you own mutual funds, a DSPP is a low cost way to take focused positions in particular stocks. Investors with small budgets can also use Direct Stock Purchase Plans to get started. While costs are one consideration of many when making investment choices, understanding the impact of expenses helps you make more informed decisions. Some nice alternative options here, thanks for the info! Glad you like them Adam. Will have to look into these a bit more! Thanks for writing about this, very useful knowledge. There’s so much to know when investing into stocks. Yes there definitely is a lot to know, but you can still do well focusing on specific areas without knowing other options inside and out. I personally didn’t know about any of these options. That unfortunately is often the case when looking into investment options and you are not in the US. As a Canadian this stuff is not available to me either. Watching what investments cost you is huge. Sadly, the majority of people ignore the costs and simply focus on the returns as you mention. I think that investors should get a breakdown of how much they pay in fees with their quarterly reports. It goes unnoticed since you never get billed for them. If more people saw just how much they are paying, I think many would look for lower cost investments.